Do you often feel overwhelmed, and in a daily battle to keep up? That you rarely get on top of your to-do list, and at times feel out of control and unable to cope? 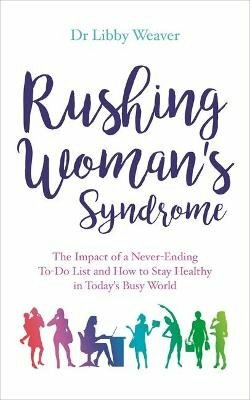 If so, you may be experiencing the first signs of Rushing Woman's Syndrome... Never before have women been in such a hurry to do so many things and be there for so many people. The pace of modern life has drastically increased - but even though our minds can go faster and technology allows us to get more done, our bodies still have cavewoman-like biology - which means they cannot respond healthily to the new and constant pressures we experience. In this book, nutritional biochemist Dr Libby Weaver explains how a stressful, fast-paced lifestyle can have dangerous effects on all areas of a woman's health, including: - Nervous system - how an imbalanced nervous system may be causing you to gain weight and disrupting your sleep - Adrenal glands - why adrenal fatigue may be making you feel tired but wired - Reproductive system - how your daily stresses may be affecting your menstrual cycle or fertility - Digestive system - why stress could be at the heart of your bloating, cravings or unpredictable appetite - Emotions - how your emotional landscape holds the key to leading a fulfilling life without the need to rush Inspired by Dr Libby's clinical experiences and her empathy for women and the many roles they now juggle, this book offers real solutions to restore your health, so that you can stay both productive and healthy.